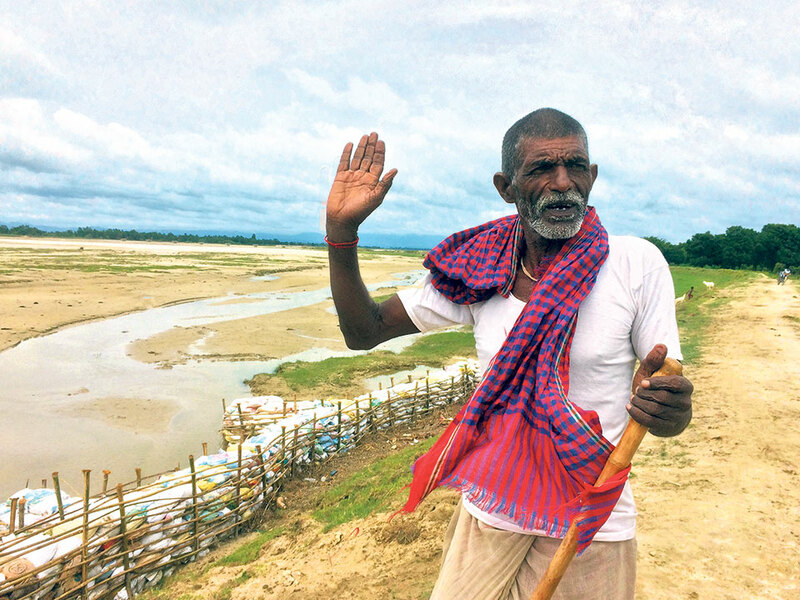 JHAPA, Sept 1: Just three weeks ago, massive floods wreaked havoc in Madhes. Landslides in the hilly districts displaced hundreds of people. Environment experts warned that further destruction of Chure would be disastrous. According to them, ‘unnatural’ flooding and landslides had a direct link with the long ongoing deforestation and excavation the Chure range. Chure seems to draw the government’s attention from time to time. However, irrespective of the regulations, Chure continues to attract the mafias. Illegal crusher plants and timber smugglers have not ceased to destroy Chure, according to locals. Even now, the government has imposed a temporary ban on the excavation of raw materials from Chure. 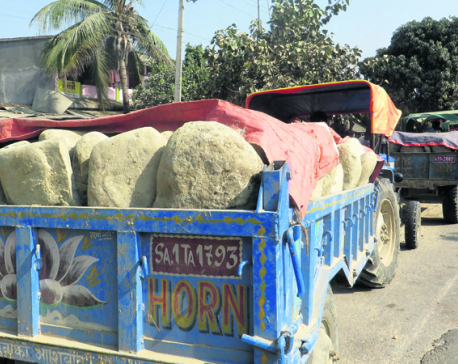 From the beginning of the month of Asar to the end of Bhadra, industries are not allowed to carry sand and stones from the riverbanks. But the crusher plants are openly violating this ban, according to the people living along the Chure range. “We feel very sorry to see all this. When we try to stop them, they threaten us instead. We remain helpless in front of such groups,” said Bhupal Karki, a local of Arjundhara. He added that the crusher plants have been operating around the rivers as they please. “They extract pebbles even from around the bridge’s base. Such activities weaken the bridges and during flooding, they collapse,” he explained. “We have seen them doing such things without any fear. Nobody inspects, nobody cares,” he fumed. Karki stated that some of the locals as well as newly elected local representatives also mingle with the mafias. That is the reason why the illegal activities do not come to an end. “It is our own fault. If locals and our own representatives could fiercely fight against it, the mafias would be discouraged. However, there is no unity among locals,” he noted. According to police chief of Jhapa, SP Bishnu Kumar KC, the police have tried to control the illegal activities as far as possible. Just in the last one week, vehicles carrying sand and pebbles from the river were taken under control, he said. “We have taken them under control and necessary action will be taken,” he said. He stated that the police are actively monitoring the situation in Damak, Suranga and Budhabare, among other places.